We’ve all heard about the pessimist / optimist test of “is the glass half full or half empty.” Don’t be so concerned with the glass, be more concerned about how positive thinking has tremendous benefits. These benefits positively affect your attitude, relationships, career, immune system and overall mental and physical health. In short, life can be better using the power of positive thinking. But there may be a bit of work to make it happen. The fastest way to start creating a positive attitude is to take short amounts of time in a day to step back and just see things from a different view. Albert Einstein is quoted as saying, “When you change the way you look at something, what you look at changes.” In a word that’s perception. What’s great is that we have the ability to interact with how we perceive situations, people and all areas of our life. Meditation is a great way to create a more positive way of thinking. And there are more ways available too. 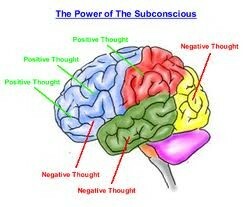 Visualization, hypnosis, yoga and even eating healthy all lend to feeling and thinking more positive. Indeed, some studies show that personality traits like optimism and pessimism can affect many areas of your health and well-being. The positive thinking that typically comes with optimism is a key part of effective stress management. And effective stress management is associated with many health benefits. Positive thinking doesn’t mean that you keep your head in the sand and ignore life’s less pleasant situations. Positive thinking just means that you approach the unpleasantness in a more positive and productive way. You think the best is going to happen, not the worst. Positive thinking has tremendous benefits and the bottom line is, nothing is going to get better with a bad attitude and thinking negatively. Even the real challenges and worse situations we may experience are going to happen, but what happens after that is going to matter as to the way we think. There is power in thoughts. All results and outcomes had to start as thoughts. What about you? Do you… or are you ready to reap the benefits of positive thinking?